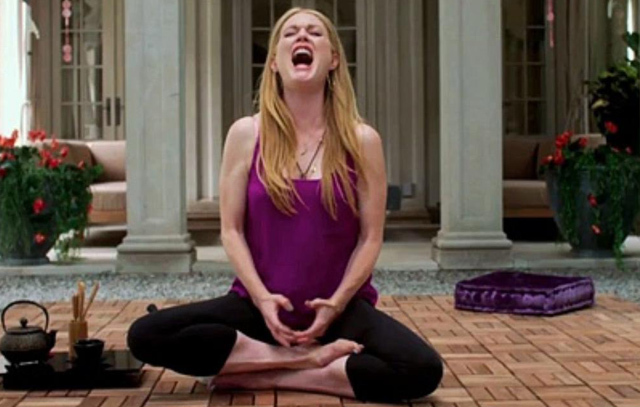 Julianne Moore is following up her Oscar winning turn in “Still Alice” with another memorable performance, this time as an aging and insecure movie star that has never found the proper nurturing in her life. The rest of the story includes charlatans, rejects, recovering addict child stars and hallucinations – just another day in L.A. There is no exit to these situations, and each of the characters are looking through the wrong end of the telescope. The film is a fascinating insight – the original screenplay is by Bruce Wagner – of lost connections and the resulting hopelessness, and the ramifications of denying truth. A young woman named Agatha (Mia Wasikowska) rolls into Los Angeles, with obvious burn scars and a past she wants to reconcile. It turns out she is the daughter of famous TV psychologist Stanford Weiss (John Cusack), and sister to teen star Benjie (Evan Bird), who has just emerged from addiction rehab. Her driver and confidant is Jerome (Robert Pattison), and they briefly connect. There is also a aging movie star named Havana (Julianne Moore), who is pining for role as her mother in a film version of their lives. Through a happenstance, Agatha becomes Havana’s personal assistant, while Stanford is also her therapist. Benjie is having a rough time staying true to his rehab, Stanford is having a rough time seeing Agatha again, and the Los Angeles region is having a rough time providing a safe haven for these vulnerable souls.